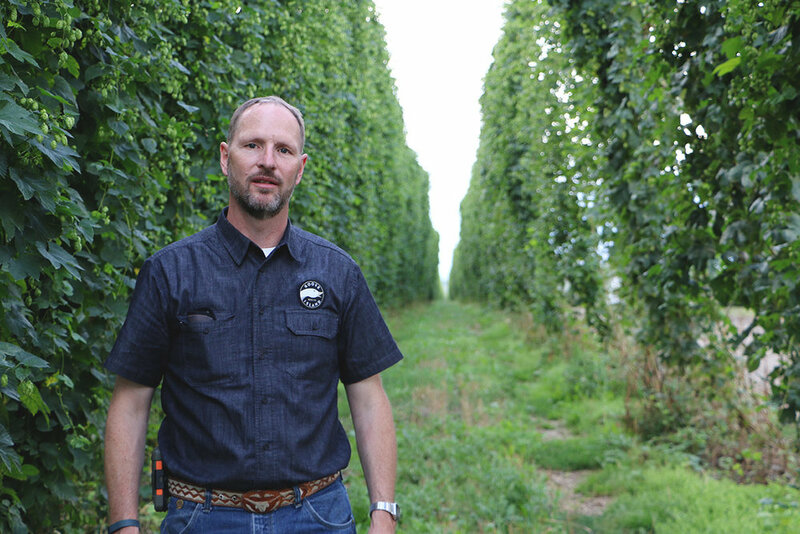 Located just ten miles south of the Canadian border, in the panhandle of Idaho, sits Elk Mountain Farms, the world's largest contiguous hop farm. Owned and operated by Anheuser-Busch since the late 1980s, the farm is as picturesque as they come—with 1,700 acres of hop-laden trellises nestled in the Kootenay River Valley, it's hard to imagine a more ideal place to practice your trade as a hop grower. Despite how the acreage looks today, things haven't always been so golden at Elk Mountain Farms. General Manager Ed Atkins has been at the farm since its inception, and has witnessed the dramatic ups and downs over the years. Once one of the biggest suppliers of hops to AB, the farm has found new life since the company's acquisition of Goose Island Beer Co. We caught up with the man at the helm to hear how he went from mechanic to hop grower, how the best of times crept into the near abandonment of hop growing at the farm, how things have turned for the better in recent years, and how he manages his time during harvest season. This was the wild west. It was pretty wild back in the day. This was nothing but pasture land, full of Timothy-grass and a little bit of wheat and barley–with no roads into the property. In the Spring of '87, we came in here, pushed a road in, and started putting hop trellises up. We built two wings of housing and built the original processing plant. We built all of that that year and actually picked hops that fall. August Bush III commissioned the farm. Back in the mid '80s, there was a lot of price fixing amongst the hop dealers, and they eventually got caught. August was a forward-thinking individual and he wanted a secure a reliable supply of hops. He was heavily dependent on Hallertau, Fuggle, and Saaz for Bud and Bud Light. So he said, "You know what, I'm not going to be in this position. I want to understand the cost of hops so I know whether I'm being taken advantage of in the market." The other thing he wanted to ensure was that he had a secure supply of hops. So boom–he commissioned the farm. Hops were actually grown here as an experiment since the late '60s, in a small planting just north of Bonners Ferry. So he had a pretty good indication that hops would grow well here. It wasn't a lot of risk in terms of knowing whether that variety could be grown here or not. Yea, my great great grandfather's homestead was here in the 1800s, in Bonners Ferry. I went to work in the forestry industry as a mechanic which slowed in the mid '80s after a lot of the federal ground was locked up due to the endangered species act. The logging and mining industries started to collapse. I knew one of the local part store owners who told me about this project. They had actually hired him to be the maintenance manager, even though he owned the parts store downtown. So I said, "Why not, I've got nothing to do." So I started working at a small operation we had just north of town, which we've since shut down. I worked there a couple months and my boss never really showed up. Well that was fine, I knew what to do. So one day they said, "We're building this new farm, how about you go run the shop out there?" I'd never run a shop before, but why not? That's kinda how I got my start and I made my way up through the years. No, none of us did. All of us when we started were, for the most part, in our 20s with young families. We'd been around hops and ag, but we certainly didn't know all the ins and outs. We were all afforded an opportunity. And fortunately our manager–my predecessor–worked in hops in Yakima while he was in school so he had all the basics. Up until the late '90s, August Busch III was really stuck on whole-cone hops. Meanwhile, all the other big brewers had moved away from whole-cone years earlier to pellets, or in the case of SAB, to extract. August was also stuck on the only brewers he'd use were German, and they had to come from the old country. He was convinced that if you weren't German, you weren't going to make good beer. At some point, he hired this guy named Doug Muhleman, a UC Davis graduate. Eventually, he convinced August that the quality of the beer would improve with pelleted hops. So that was a major shift for us. Obviously AB was bought [by InBev] in the fall of 2008. Shortly after, they came in and started looking at inventory. August always had this simple view that you can't brew beer with "this" [motioning toward the air/nothing]. He was always really long on inventories. It was a little disjointed and certain folks had no idea just how long we were on certain varieties. We were like 15 years long on some. Fifteen years of inventory. If you stopped buying that particular hop today, it would be 15 years of recurring use before you burned through it. Unfortunately, a lot of those long varieties were ours. So we pulled out a lot of the hops and planted wheat, canola, and chickpeas. Chickpeas weren't too successful, but wheat and canola were. Those were our mainstays for about two years. Yea, we ripped 'em all out—all but about 50 acres. We lost most of our workforce. We've managed to hang onto a few key people but most of them vanished. We were at this tipping point where the farm wasn't profitable. Wheat and canola won't even pay the property tax. If you came in here then, there was nothing in the way of hops. It was pretty sad. We were all about keeping key people, as many as we could. We had to lay-off some seasonal folks—quite frankly, about 150 of them. They had helped build this place and knew nothing else. They were in their 20s, and this was home to them. Their kids were born and raised here. They were crushed. It was a tough time. Oh yea, hops are a lot more fun, and a lot more challenging. Wheat and canola are pretty simple. Quite frankly as a hop farmer, you don't get any credit. Everybody equates growing hops to wheat and canola. Those types of crops literally are 'simple.' You plant them, you fertilize them, spray them once–maybe twice–and you harvest. You have these large gaps of time where you're just not all that busy. It's a pretty cushy life. There're a lot of guys in the valley I'm envious of at times. The real reward is that we have a lot of people. You don't need many people to grow wheat and canola, but hops is a people business. It all coincides with the beer business—beer is a people business, about building relationships. Hops are that way too. Wheat and canola are simple commodities. A big difference is that you don't grow hops without contracts. If you do, you're suicidal. It's very expensive. You can grow wheat and canola for $150-250 an acre. Hops are about $6000 an acre. There's a lot more risk. We still don't know everything about it. It's constant learning. A hop plant is a funny thing. You take a plant, and you go out in the middle of nowhere, you water and fertilize it– and that thing will grow like nuts. It's a weed, you can't get rid of it. But grow them in a large setting where you have all the disease load, especially mildew, it's tough. Oh, I was excited. My first exposure to Goose Island was this fella named Brett Porter. My boss at the time was looking at these opportunities. He calls me and says, "You need to talk to Brett Porter." Well, I don't know who Brett Porter is. He said, "He's the Head Brewer over at Goose Island." Ok...what's Goose Island? 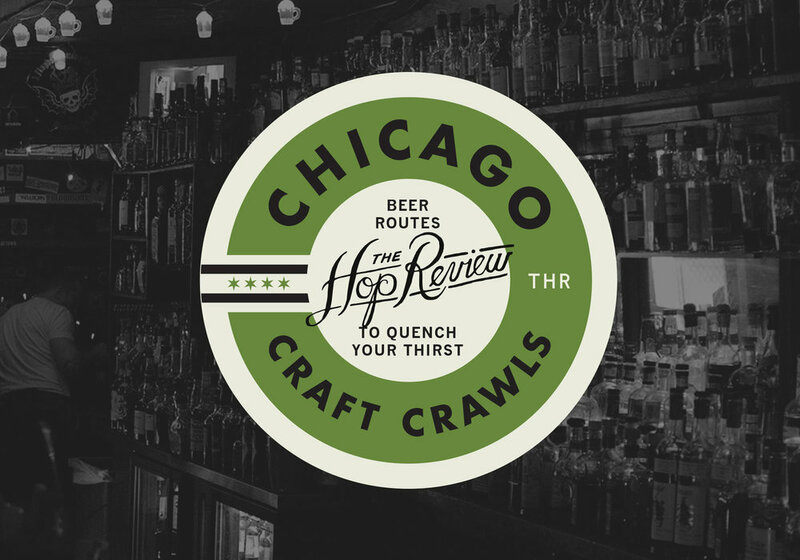 "Well, it's a little craft brewer in Chicago." As soon as I talked to him, the passion and fire was there. He was so excited and couldn't wait to get out here. I'd just gone through this period of not growing hops, maybe never growing hops again — I didn't know. So I talked to this guy, and I mean, the fire was lit with me. I was like, "We're getting back in the hop business." This guy had all kinds of ideas. So, a long story short, he came out and we started talking about all the possibilities. He had ideas from Amarillo and things blossomed from there. Nobody drinks just Bud anymore. I like my Bud, don't get me wrong. I like light lagers at times, but I like the variety too. I've developed a taste for IPAs. I've got to admit, the first IPAs I was exposed to were really high-IBU stuff. I've kind of drawn back. I like lighter IPAs like the Goose IPA. It's lighter, more drinkable. I don't like to sip beer, I like to drink beer. Photography at Elk Mountain by Jack Muldowney. A huge thank you to Ed for stepping away to talk shop during his hop harvest and busiest time of year. Check out our impressions of our visit to Elk Mountain Farms during their 2016 harvest. Hops from the farm can be found in dozens of Goose Island and other AB owned craft breweries around the United States. Older PostBeer & Branding: Boulevard Brewing Co.